I was a senior in high school when I walked into school wearing yoga pants and a t-shirt accented by a basketball belly, a strand of pearls, and holding a five pound dumbbell in one hand and a baby doll in the other. It was career day and we had been told we could dress up, either as someone we aspired to be or as something funny. I was dressed as a soccer mom. And I thought it was hilarious. Now, ten-years-later, as I sit writing this in yoga pants and a t-shirt with a real post-baby belly and dumbbells buried in a box in the basement, I can only shake my head at the young girl who determined at eighteen that being a mom was beneath her. Dig deep within you and face that which most terrifies you – becoming a mother. I know you are scared, sweet one. I know because when you’re scared, you try to heal the hurt with laughter. 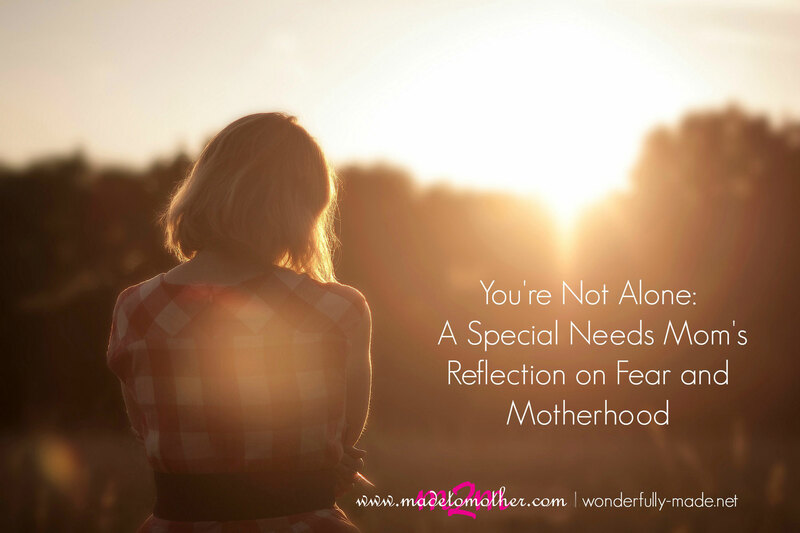 Motherhood is scary in many ways, yes, but it is also the most beautiful, wild, wonderful thing you will ever experience. Your children will try you, but they will also prove to you that love is greater than any frustration. You will lose some friendships, but you will gain more faithful friends than you can imagine. You will make mistakes, but you will learn infinitely more from those mistakes than you would without them. Life as a mom is so much more than your young heart can know. It’s holding your babies at night when they are hurt or hungry. It’s harnessing frustration and pushing through fear. It’s IEP meetings and therapies, losses and victories. It’s tying shoelaces and rolling in green grass. It’s soaking in summer sun and forging through winter snow. It’s carrying life and bearing scars. It’s letting go of the person you were for the person you must become. It’s a thousand moments you wish would never end. So embrace the calling of motherhood. You’re made for this, honey. You are. Not because of who you are but because of who He created you to be. Katie is the blessed wife of an Air Force veteran and mother of three precious children. Her oldest child, Jack, was diagnosed with autism in January 2013. 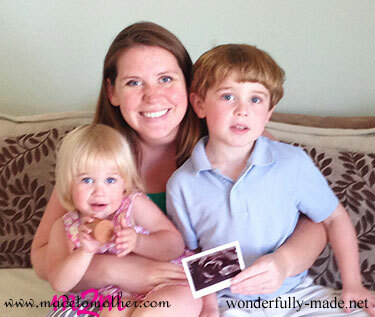 Later that year, Katie felt the Lord calling her to share her family’s journey and she launched Wonderfully Made, a blog dedicated to encouraging women along their journeys of faith, motherhood, marriage, and special needs. It is her family’s deepest hope and prayer that what is shared at Wonderfully Made will encourage you to laugh, cry, learn, accept, and rejoice in what makes our children who they are—beautifully and wonderfully made by God. You can find Katie on Facebook, Pinterest, Instagram, and Twitter. Katie this is just beautiful! !